If you know me you’ll know I love I bitta texture! 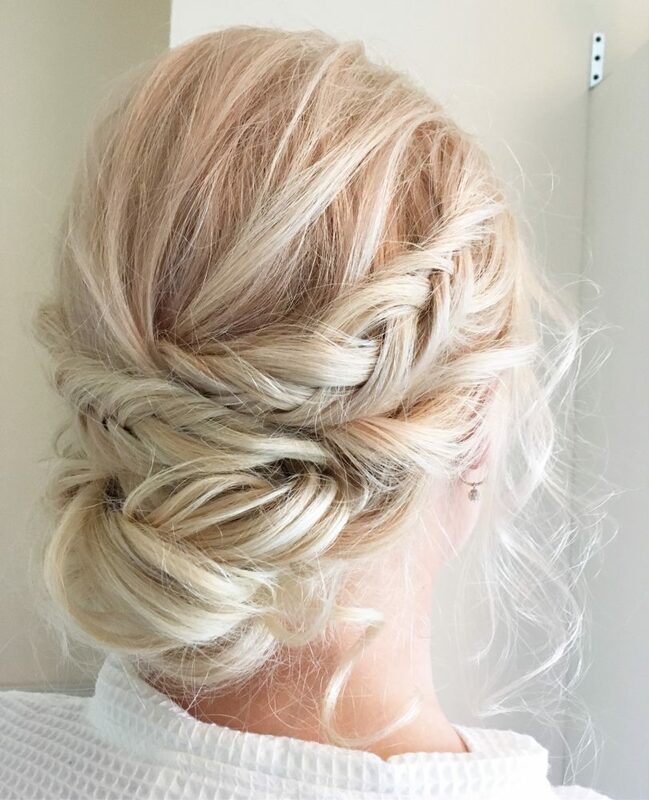 To break it down – hair that’s hard and shiney has it’s place but usually it’s not on my Instagram! I love hair that’s soft and doesn’t look too perfect. It’s taken me a while to figure out how best to achieve this look and where I’m at now is that texture spray is literally my BFF! I used to love the powders that are designed to do a similar thing but I find these give me the shivers – nails on a blackboard kinda thing! And they can make hair static and harder to style. Texture spray is basically dry shampoo and hairspray combined and when you spray in the roots after styling and give a little rub – its magic!!! I talk a bit more about it here. I buy this in bulk!!! It’s not cheap but hey, my clients are worth it! Added bonus, it comes in a brunette version to so no powdery grey roots! 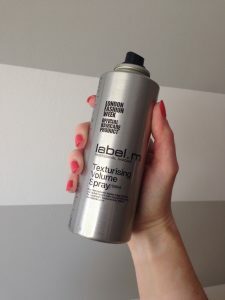 PACKAGING : The usual LabelM minimalist grey and black – perfs! BOTTLE FUCTION : Fits nicely in the hand! And has a good wide spray! RESULT : Deadly!!!! Changed my life!!! I got sent this one and I was excited!! I’d heard a lot but kinda suspected I’d use it a few times and then leave it on the shelf! But no! Its also deadly!!! 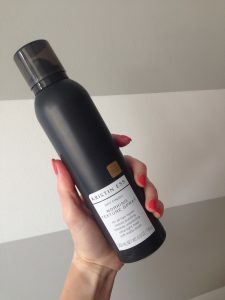 BOTTLE FUCTION : Its a taller bottle than my old fave above and had a lovely matt feel! Great spray action! SMELL : Yes!!! 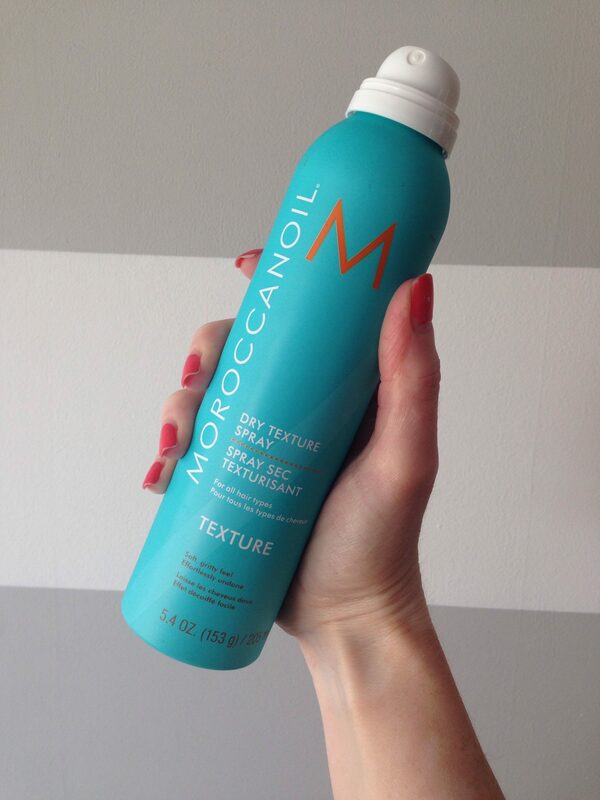 Not too strong so a winner – if you like the smell of moroccan oil, which I do! FINAL WORDS : I like this a lot and would defo use it in my Kit. Easy to get online from Ireland too if your not able to get to a salon to buy your bits! I can’t tell you how much I wanted to love this product! Kristen Ess is one of my ‘hairstylists I want to be’ people! And when she brought out her own range of products I was dying to try them!!! PACKAGING : Simple and sleek, nothing too fancy! BOTTLE FUCTION : Again nice matt feel to the bottle and easy to spray. SMELL : Bit stronger than I’d usually like but not too bad. RESULT : Much softer finish than I’d usually go for. I need a quick prep for upstyles and this product needs a few layers before I felt I had enough to work with. It does say to allow time for it to grit up before adding more but I still felt it was a bit soft for me. CONCLUSION : I have not been turned away from my old reliable label M but I have been pleasantly surprised to see that the Moroccan Oil brand is not just about the original oil, they do another great product too. The Brunette element of the Label M scores major points. The fact you can get the moroccan oil from an Irish website scores high too! Texture sprays for the win!